Every time I visit Winnipeg, the beer geek in me loves to check out Winnipeg's breweries Fort Garry and Half Pints. 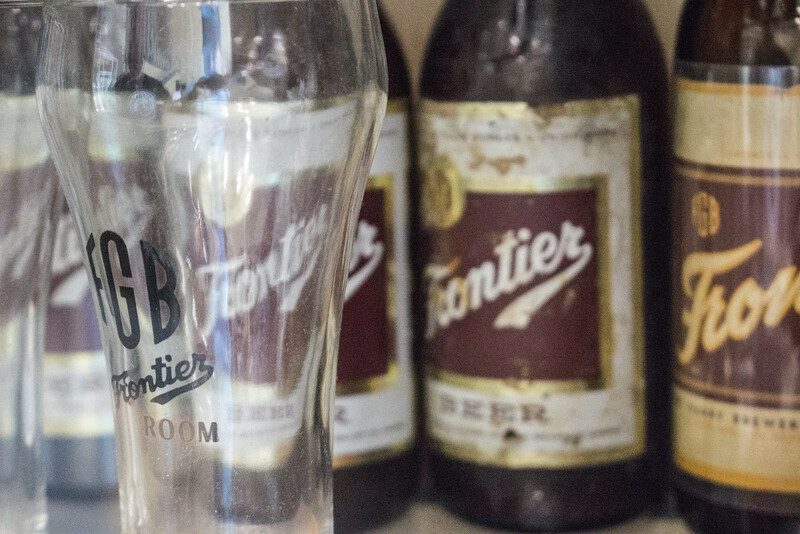 Unfortunately, usually I'm only in town on weekends so while Half Pints is open on Saturdays, Fort Garry is closed. So when I do get to visit Fort Garry, it's always a treat! 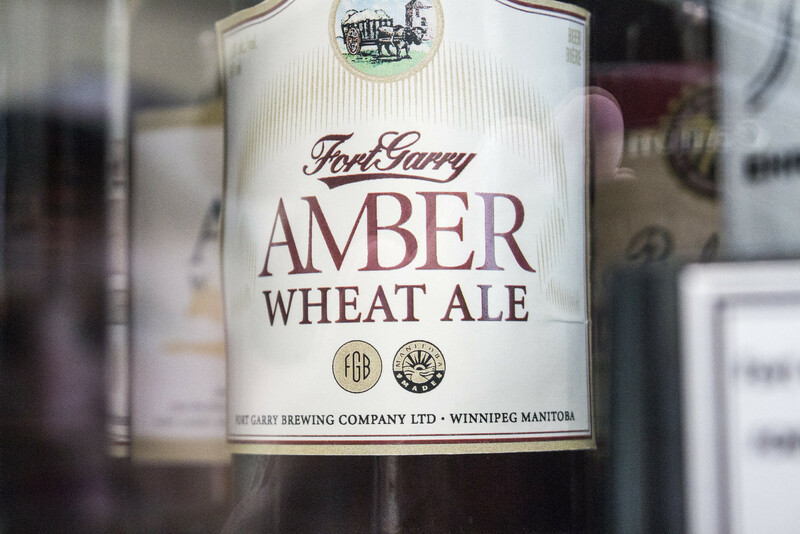 Here's some photos I took on my last visit to Fort Garry while visiting brewmaster Matt Wolff. 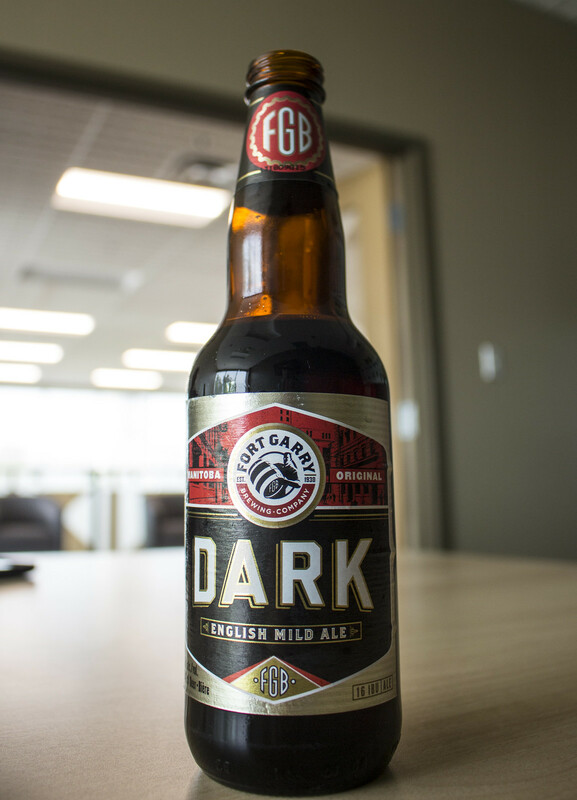 As soon as I arrived, brewmaster Matt brought me a freshly bottled Fort Garry Dark Ale. The Dark has been one of my favourites from the brewery for nearly a decade now. Heck, even when I thought the brewery was horrible for brewing Stone Cold, I still drank a Dark Ale or two once in a while. 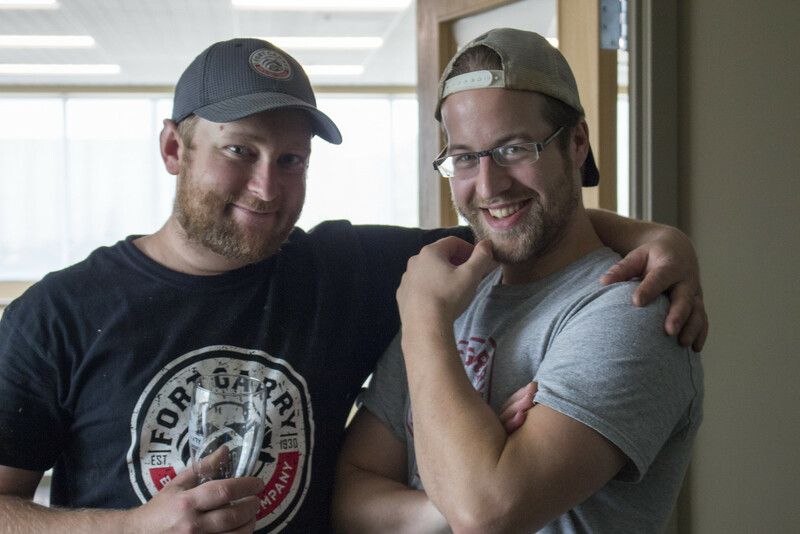 Fort Garry's Matt and Dan! Next off, we went on a quick tour of the brewery - which we always do every time I come for a visit. 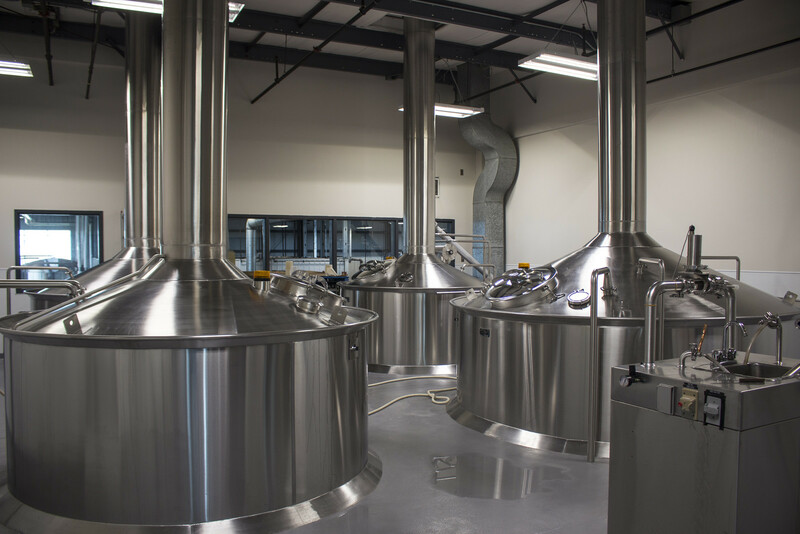 Here's the mash tun room. Not much was going on that day - but usually it would have the aroma of a farm (sans manure) to it and have a temperature of 50C. I'm always amazed how large Fort Garry is. 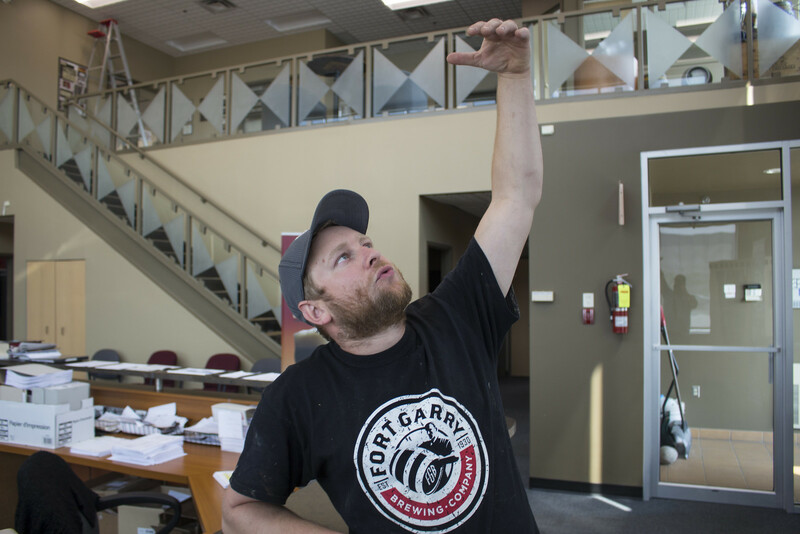 Half Pints has been around for 9 years now and they are nowhere near the size Fort Garry is, still. We took a walk around the brewing tanks - and watched our feet so we wouldn't trip over any hoses. Nothing seasonal was being brewed at the time. So it was mostly Fort Garry Dark, Rouge, Pale and Stone Cold Draft. 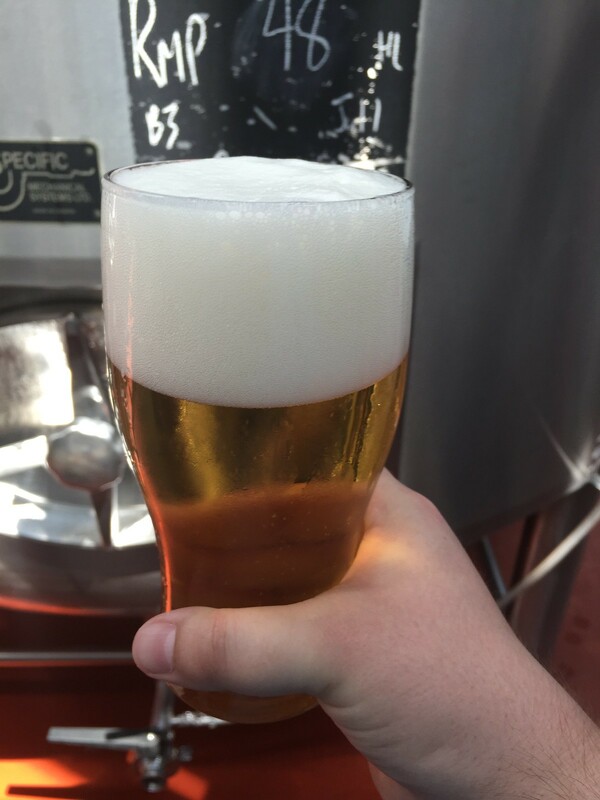 Fort Garry Pale Ale straight from the tank! 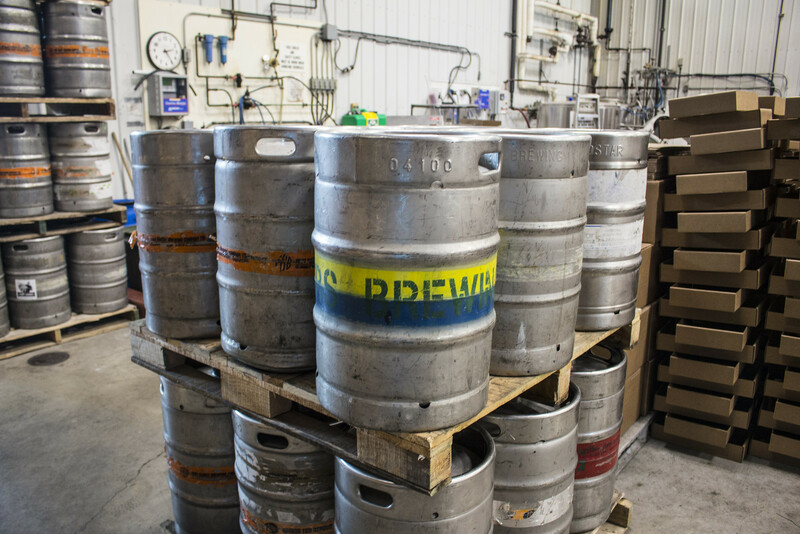 Who wouldn't want to have these many kegs worth of fresh beer in their home bar? 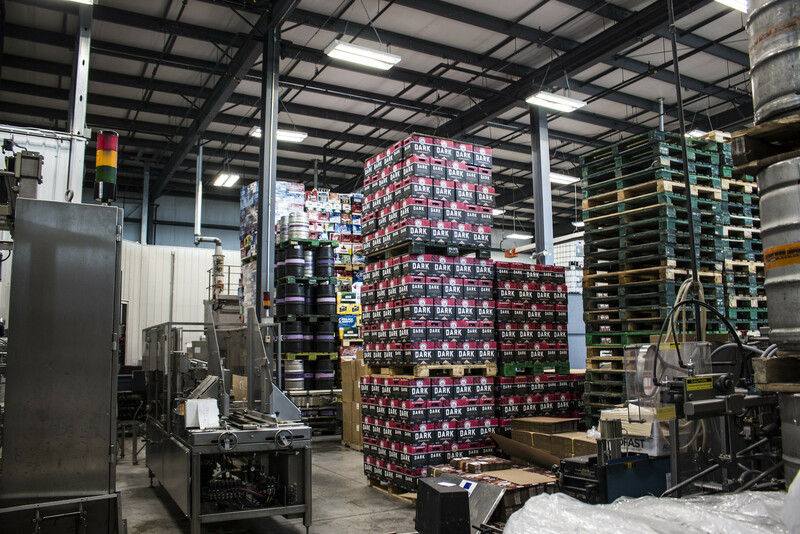 Warehouse: Bottling machine on the right. Several pallates of Fort Garry Dark, kegs and cases of empty bottles that need to be washed. 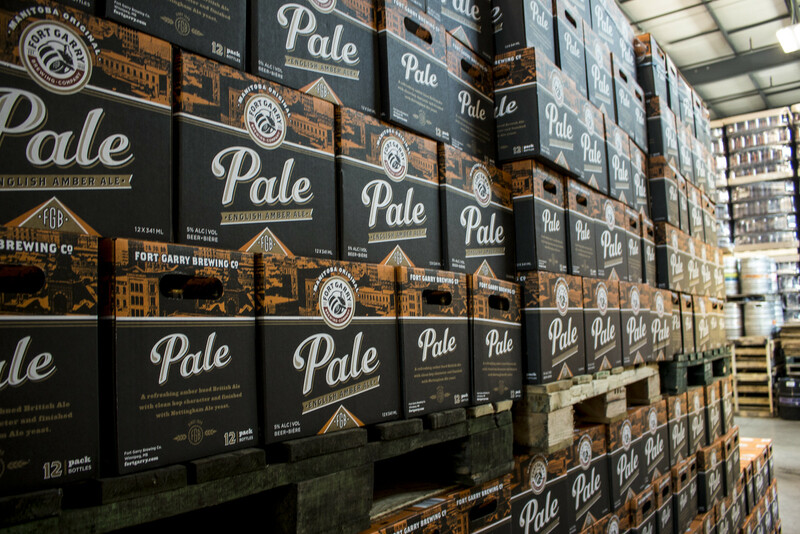 Several hundred bottles of Fort Garry Pale Ale - Ready to be shipped out and savoured. 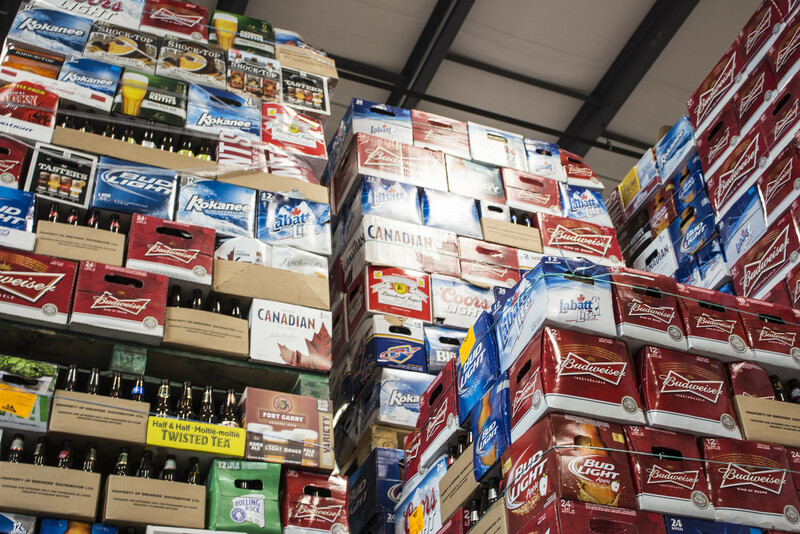 Several hundred cases of beer empties that were returned to Manitoba beer vendors. 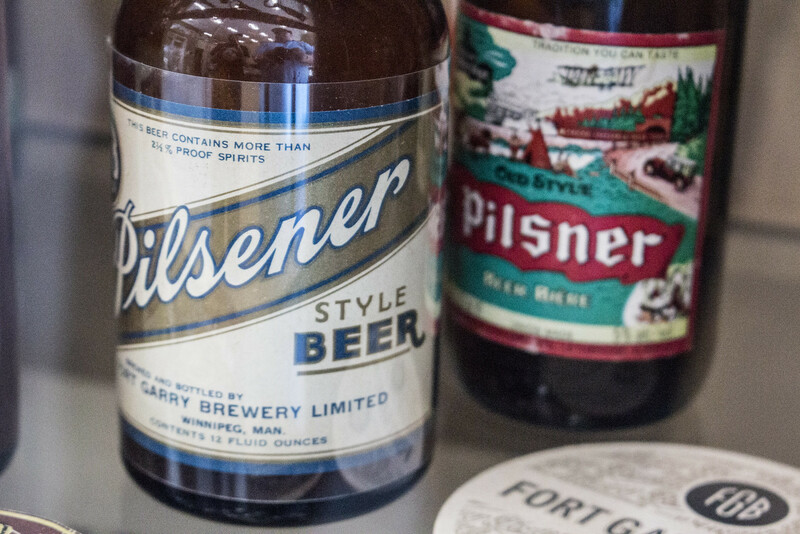 When beer vendors send customers' empties away, Fort Garry washes the bottles to be re-used by the major breweries. 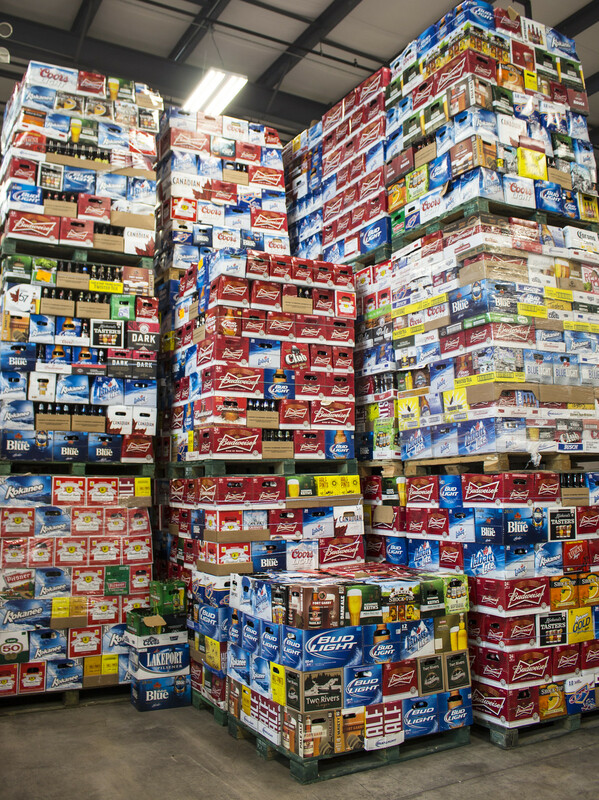 This is a good representation of what the most popular beers in Manitoba are. A substantial amount of Budweiser, Bud Light, Keith's, Kokanee, Standard Lager.. even some Twisted Tea (rednecks love that stuff.. but it does go down soooo smoothly).. and apparently people still drink Labatt Lite and Club. Notice the case of Lakeport on the middle-left side: it's not even sold in Manitoba, so somebody was able to get deposit back for something they bought in Ontario! Same with the Labatt Blue Light on right hand side. Closer up of the cases of empties. Manitobans truly love Labatt it seems. Advertising pays. 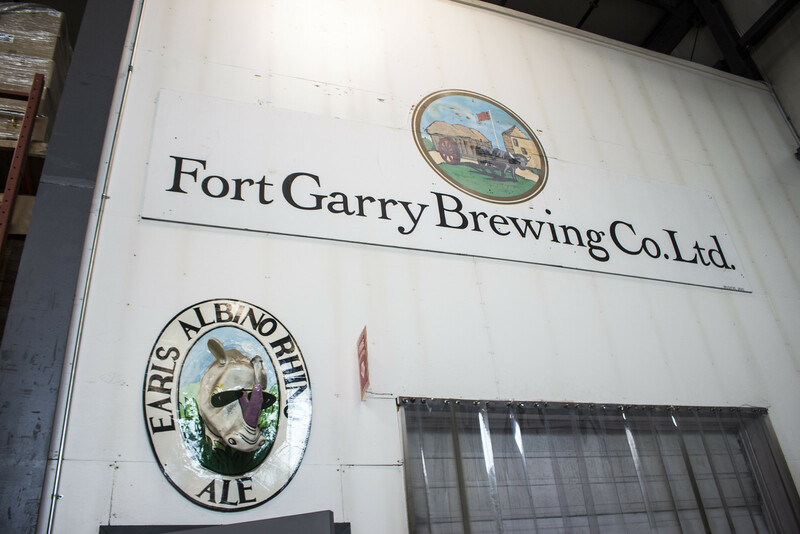 Fort Garry's old logo and Earl's Albino Rhino Ale featuring a plastic Rhino wearing shades. 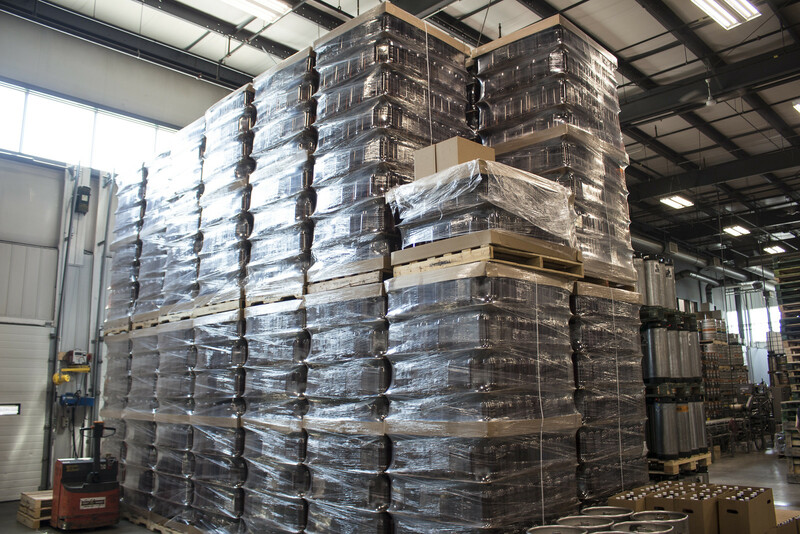 Pallets among pallets of 2L plastic bottles used for Stone Cold Draft. I've made it well known to Brewmaster Matt that I don't approve of the beer, in fact I reviewed the beer two years back.. and nearly barfed. Stone Cold is one of Fort Garry's most popular beers, but it's also linked to alcoholism - I see people chugging down the beer all over downtown Brandon, followed by people passing out and plastic bottles littering the streets. 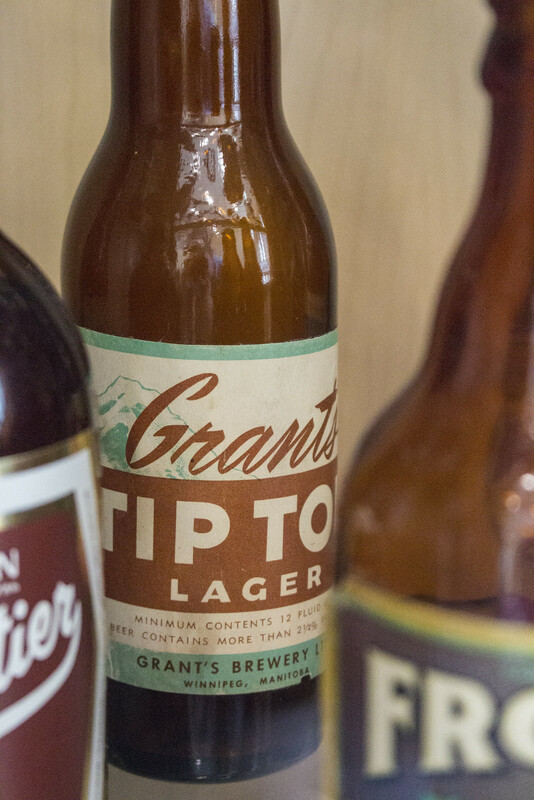 At $8.00 per 2L serving, it's an affordable way to get a quick buzz. 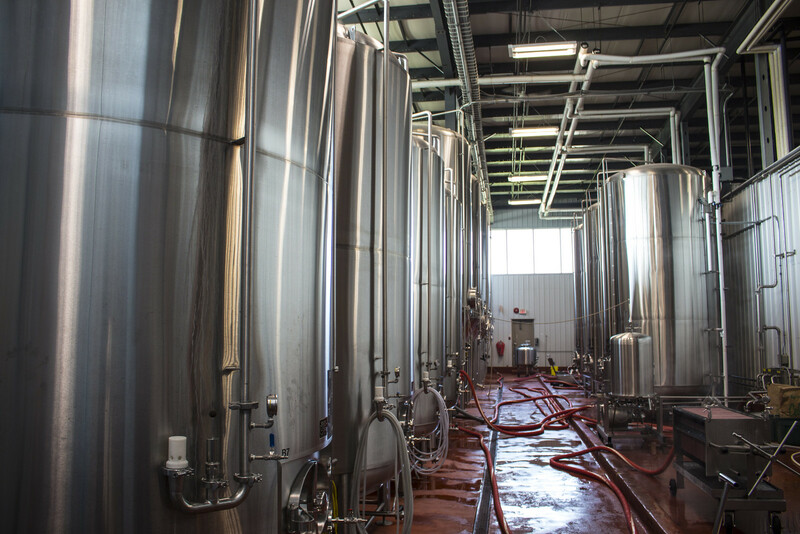 Fort Garry brews 30,000 litres of Stone Cold per month - which is 15,000 bottles.. that's a lot of beer!